"Deaths-Head Revisited", episode 74 of the Twilight Zone, was written by Rod Serling. 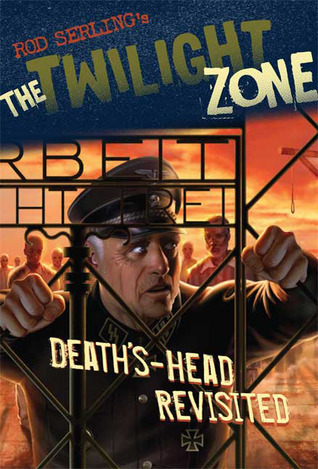 As a veteran of World War 2, Serling dealt with his post-traumatic stress by writing episodes like this one for his television show. When he enlisted, his goal was to fight against Hitler, but to his disappointment he was sent to Japan instead. But through his pen he managed to indeed fight Hitler. This particular episode was Serling's statement on the Holocaust, written in reaction to the then ongoing Eichmann trial, in which a former Nazi, played by Oscar Beregi, on a nostalgic visit to Dachau, is haunted and ultimately driven insane by the ghosts of inmates he had killed there during the war. What he once look upon with nostalgia, soon became his nightmare. Lutze is found and taken to a mental institution for the criminally insane, since he continues to experience and react to his illusionary sufferings. His finders wonder how a man who was perfectly calm two hours before could have gone insane. The doctor looks around and asks, "Dachau. Why does it still stand? Why do we keep it standing?" "There is an answer to the doctor's question. All the Dachaus must remain standing. The Dachaus, the Belsens, the Buchenwalds, the Auschwitzes – all of them. They must remain standing because they are a monument to a moment in time when some men decided to turn the Earth into a graveyard. Into it they shoveled all of their reason, their logic, their knowledge, but worst of all, their conscience. And the moment we forget this, the moment we cease to be haunted by its remembrance, then we become the gravediggers. Something to dwell on and to remember, not only in the Twilight Zone but wherever men walk God's Earth."